Paul Gachet, a doctor specializing in nervous disorders, looked after the patient Van Gogh in the last few weeks of his life. Dr. Gachet lived on a hill with his children in a house surrounded by high walls. As can be seen from the large-scale picture of the garden, it gives the impression of a safe place. The garden is densely overgrown with trees and plants. Huge dark trees cover a piece of land, allowing only a brief glimpse of the neighboring roof. 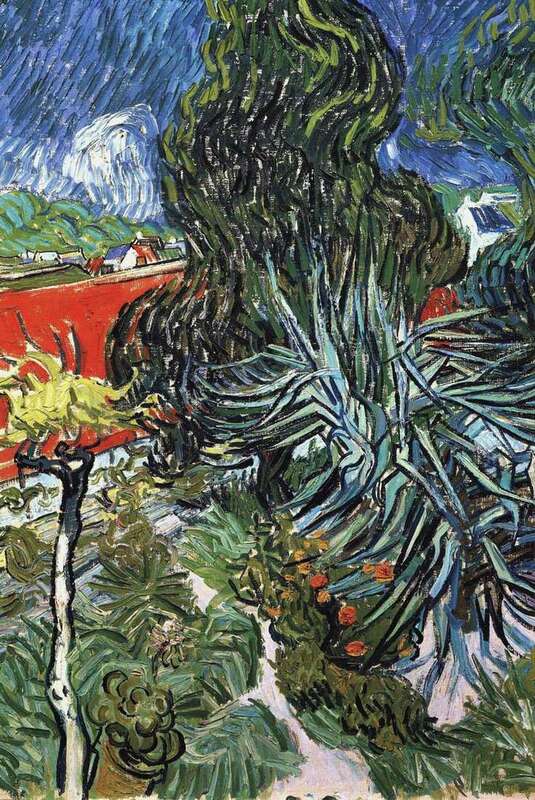 Description and meaning of the painting Dr. Gachet’s Garden in Over by Vincent Van Gogh.